The European Commission is aware of Digital Rights Ireland's application to the court, but does not comment on ongoing court cases, said Commission spokesman Christian Wigand. 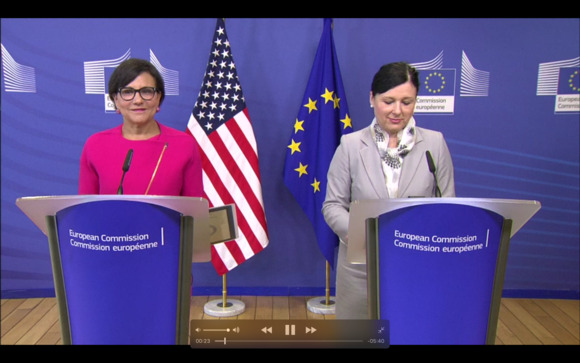 "The Commission is convinced that the Privacy Shield lives up to the requirements set out by the European Court of Justice, which have been the basis for the negotiations," he said. A court challenge to Privacy Shield was expected, but the method used is surprising, said Aaron Tantleff, a privacy and information security lawyer at Foley & Lardner. Tantleff said he would have expected Digital Rights Ireland to file its complaint through a national data protection authority, which in turn could have referred it to the court. By going to the court directly itself, it faces "an uphill battle proving that the Privacy Shield is 'of direct and individual concern'" to it, he said via email. "I do not have high expectations that this case will proceed based upon the current facts," he said, but given Digital Rights Ireland's past record, "I am not ready to dismiss this as a mere PR stunt or just a nuisance."